Jesup – Martha E. Mitchell, 83, passed away Thursday, August 23, 2018 at Landmark Hospital in Savannah. She was a native of Lake Wales, FL and had lived in Wayne County most of her life, was a homemaker and worked many years as a retail clerk. 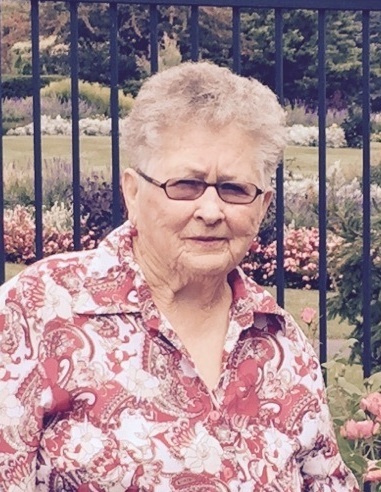 She was a lifetime member of VFW Women’s Auxiliary and enjoyed bingo and shopping. She was preceded in death by her husbands, Corky Swartout and Daniel L. Mitchell and a daughter-in-law, Julie Mitchell. Survivors are her sons, Jimmy Marterson and Margie and Louis Mitchell of Jesup, Eddie Mitchell of Oklahoma City, OK, and Donald F. Mitchell and Mike Castleberry of Alpharetta; daughters-in-law, Janet Shinhoiser and Kim Mitchell; step-son Don (Marie) Swartout; 13 grandchildren, 6 great-grandchildren, 3 great-great-grandchildren and several nieces and nephews. Funeral services will be held Sunday, August 26 at 4 PM at New Bethel Baptist Church. Burial will follow in Jesup City Cemetery. Visitation will be Saturday, August 25 from 2-4 PM at the Howard Funeral Home in Ludowici. The family will assemble at the home of Jimmy Marterson, 2286 Old Screven Road, Jesup.